Steve Fitzgerald was born in the old Fahring Clinic in Anahuac on January 10, 1950. He is a sixth generation Texan and Chambers Countian where his ancestors were the original settlers of Barbers Hill. Steve’s parents, Carl and Jewel Spillers Fitzgerald, moved to Anahuac and then Double Bayou where he was raised on the rice farm and ranch along with his three siblings. When his parents moved to where the farm is today, there was a dirt road and no electricity. His father’s first crop in Barbers Hill was 200 acres and took seven months to work the ground. Today, farmers can work 200 acres in one day with the modern equipment. Farming has changed so much over the years. While growing up on the farm, Steve helped with the field work and working cows. Hunting and fishing kept him busy in his spare time. After attending a two room school in Pine Island through fourth grade, he graduated from Anahuac High School in 1968. In the same year, he planted his first rice crop of 32 acres. Steve has farmed with his brother, Jimmy and now with his son, Tyler, farming around 800 acres and raising cattle on the same land as his first crop. 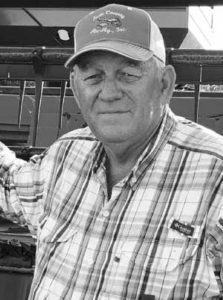 While farming and ranching, he attended Lee College and Lamar University. Steve has been married to Patti Gaulding Fitzgerald for 42 years and they have lived in Winnie raising a daughter and son. Their daughter, Katie and her husband Daryl Marek live in Liberty with their children Ellie and Eli. Their son, Tyler and his wife Corena Williams Fitzgerald live on the farm with their children Rylee and Jenna. The grandchildren love to ride around the farm with Paw Paw on the different types of equipment and learn the importance of the land. 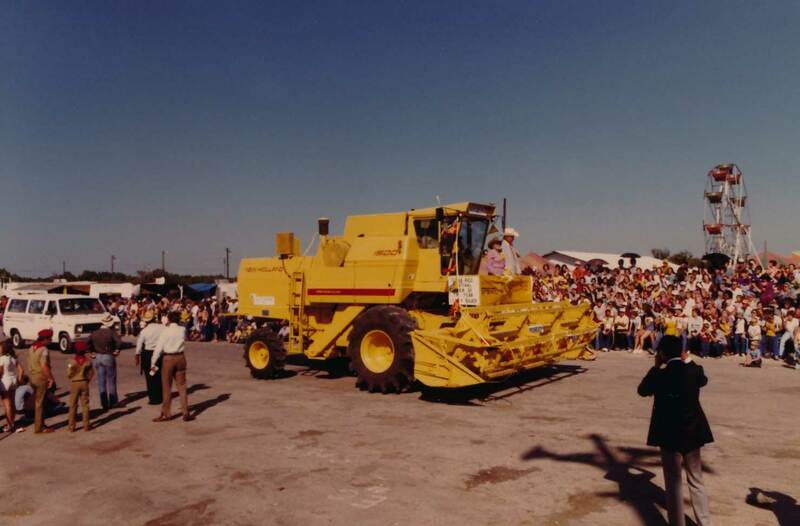 The Texas Rice Festival has been a part of Steve’s interests for many years. He served as President in the years 1987 and 1988 after serving on various committees. He has also been involved in community activities over the years including the Winnie-Stowell Volunteer Fire Department and continues to volunteer with the Winnie-Stowell EMS helping on the ambulance for 37 years. Also, he was a founding member and past President of the Winnie-Stowell Ducks Unlimited. He has been a past director of the Trinity Bay Conservation District. Currently, Steve is a member of the Independent Cattlemen’s Association, Texas and Southwestern Cattle Raisers Association, Coastal Cattleman’s Association, Chambers County Farm Bureau and American Rice Growers. Steve would like to thank the Texas Rice Festival for the honor of being chosen as the 2018 Farmer of the Year. Also, he would like to thank the support industries and the community for supplying the needs of the farmer and helping to grow quality food. Farmer of the Year has been awarded every year since the beginning of the Texas Rice Festival.